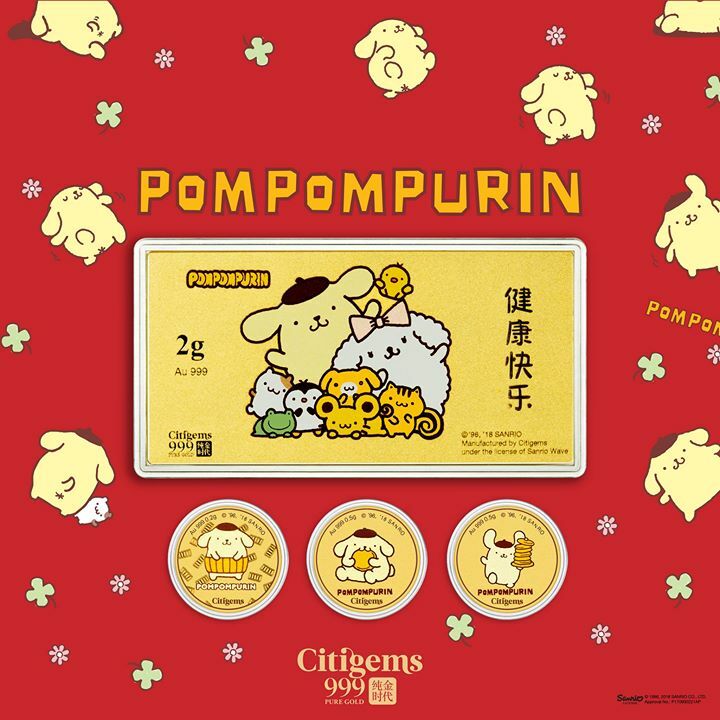 Home > Bank > [CITIGEMS] Usher in the Year of the Dog with Citigems’ 999 Pure Gold Pompompurin Collection! [CITIGEMS] Usher in the Year of the Dog with Citigems’ 999 Pure Gold Pompompurin Collection! Usher in the Year of the Dog with Citigems' 999 Pure Gold Pompompurin Collection! The adorable golden retriever is available in a variety of fun-sized gold bars, coins and figurines, perfect as gifts of gold this lunar new year. To celebrate the festive season, we are giving away FREE limited edition Pompompurin red packets with any purchase, while stocks last. What's more, enjoy a FREE Limited Edition Pompompurin Soft Toy when you spend above $300 on our Pompompurin collection. Previous: [CITIGEMS] Usher in the Year of the Dog with Citigems’ 999 Pure Gold Pompompurin Collection! Next: [Etude House Singapore] Life is Sweet!